Next Wednesday, the World Affairs Council will be holding a Hot Issue Happy Hour program to answer your questions about the recent developments in Turkey, Iran, and Syria! In light of this program, we put together a blog entry with a mix of personal stories, background information, and links to learn more about the developments in all three countries. Read the blog, register online for our program, and submit your questions and comments below! In 2007, I spent a month in Istanbul studying through a program with Northeastern University. Every morning after some strong Turkish coffee, I would join my student group outside our hotel and walk just a few blocks to Taksim Square. We would pause in the square before planning our route to that day’s destination. While waiting and trying to distract myself from the sweltering July heat, I would watch the activity in Taksim Square, which sits in the heart of the city’s modern center. The square was never lacking in activity, as the city’s suited professionals dodged taxis on their way to work, university students walked to hip coffee shops down Istikal Caddesi, and street vendors sold fresh simit bread to those on the go. The eclectic mix of people, sights, and sounds never failed to surprise me and I never minded waiting in the square despite the maze of beeping cars and humid haze permanently enveloping Taksim. It is this square that has recently gained the attention of the international community, as Turks opposing plans to bulldoze nearby Gezi Park have gathered in perpetual protest over the last few weeks. The vibrant city center has now been filled with a new source of vibrancy, this time taking a violent tone. Protestors were infuriated by Prime Minister Erdogan’s response to their demonstrations and have since waged police forces in intense battles throughout the square. Today, I am barraged by views of Taksim Square and the surrounding area full of barricades, clouds of tear gas, and injured civilians. Seeing these images makes me wonder when and if Taksim Square will again resemble the place I remember from 2007. More importantly, what will the protests and the government’s response mean for the future of Istanbul and the country? Whatever the outcome of the protests, the square will likely bare scars of the clashes and serve as a reminder of the continual transformations taking place in Turkey and in the region at large today. 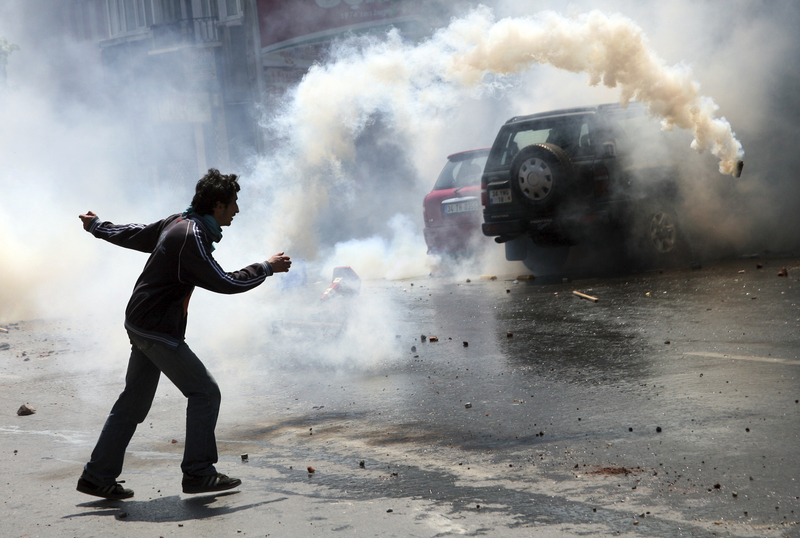 Read more on Turkey’s protests. The conflict in Syria escalated in March 2011 when protests against the detainment of political prisoners broke out in the Syrian cities of Damascus and Deraa. In retaliation, security forces killed many protestors, sparking further civilian opposition to President Bashar al-Assad’s regime. In the months that followed, the conflict continued between Syrian rebels opposing the regime and the security forces defending the government. Along with the rising death toll that has resulted from this struggle, many Syrians have fled to neighboring countries. The United States and other nations soon imposed economic sanctions on the Syrian government, hoping to oust the al-Assad regime. President Obama made it clear that if the Syrian government was found to be using chemical weapons against its own people, this action would warrant a more serious U.S. response. Believing that the regime has indeed used chemical weapons against its citizens, the Obama administration has recently decided to provide arms to rebel forces. This conflict has been responsible for over 90,000 deaths and continues with no clear solution in sight. Read more about the details of the Syrian crisis. Read more about the United States’ decision to provide arms to Syrian rebels. On June 14th, cleric Hassan Rowhani* was elected President of Iran. Rowhani ran as a moderate candidate and the fact that he won the election with over 50 percent of the vote signals that the Iranian people are ready to see a less extreme Iran. Rowhani, in contrast with the other presidential candidates, has talked about opening up the country domestically and improving relations with the West regarding Iran’s nuclear program. The new President must now face a crippled economy, a result of economic sanctions brought on by the West and international resentment concerning the transparency of Iran’s nuclear program. Some have indicated that this election may bring about beneficial changes for the country. However, others have insisted that one must first take into consideration the powerful role of the supreme leader Ayatollah Ali Khamenei and his relationship with Rowhani. Western nations have viewed this election as a move in the right direction. Nevertheless, whether Rowhani can work to bring about real change in Iran remains to be seen. It is important to acknowledge, however, that the Iranian people have sent a message that they have had enough of the extreme policies of the past. Read more about the details of the election in Iran. Read more about implications of the election and the relationship between Rowhani and the supreme leader. Click Here to Register for FREE Our Hot Issue Happy Hour! Previous Post Missed our Nuclear Threat Program Yesterday? Read About it Here!